The federal government has acknowledged the negative impact on Canadian Sikhs of the wording used in a report released in December outlining terrorist threats to Canada. But months later, the document remains unchanged, and members of Brampton’s large Sikh community are asking why. 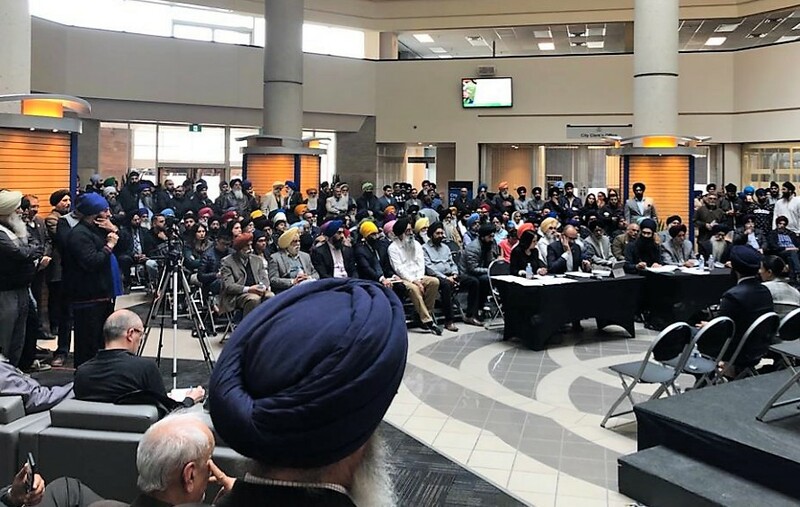 About 400 people gathered for a town hall meeting at Brampton City Hall Sunday to hear from their elected representatives and fellow members of the Sikh community about their responses to the 2018 Public Report on Terrorism Threats to Canada. For the first time, the annual report mentioned “Sikh (Khalistani) Extremism” as one of the current threats to Canada’s security. That inclusion triggered a strong backlash from the Sikh community that has become more deeply entrenched because of the governing Liberals’ inaction since the report’s release. According to World Sikh Organization spokesperson Jaskaran Sandhu, who hosted the Brampton town hall together with the Ontario Sikh and Gurdwara Council and Ontario Gurdwaras Committee, frustration has mounted. The section in question, beneath the title “Sikh (Khalistani) Extremism” notes that some individuals in Canada continue to support extremist ideologies and movements looking to create a separate state called Khalistan for the Sikhs, a religious minority within largely Hindu India. Public Safety Canada’s threat report explains that violent activity in support of an independent Sikh homeland has fallen since the height of the movement, between 1982 and 1993. It refers mainly to historical actions; in particular, the 1985 Air India bombing over the Atlantic near Ireland carried out by Khalistani terrorists, which killed 331 people — 268 of them Canadian citizens — in the deadliest terror plot ever launched in Canada. “While attacks around the world in support of this movement have declined, support for the extreme ideologies of such groups remains,” the government report states. What’s not clear is why this addition was made to the 2018 report, when previous iterations of the annual terrorism assessment have not mentioned it. Members of the Sikh community are concerned that the report paints all Sikhs with the same brush and equates peaceful support for Sikh aspirations with terrorist intentions. “The section on Sikh (Khalistani) Extremism is deeply hurtful, and we still do not have an explanation as to why it was added and why it continues to remain in the Report,” states WSO President Mukhbir Singh in a released statement. There have been repeated calls to remove the wording since the report’s December release. 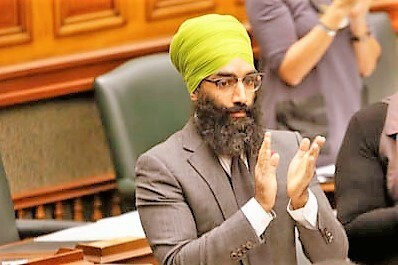 At Queen’s Park, Brampton East MPP Gurratan Singh (NDP), a practising Sikh who attended Sunday’s town hall, delivered a heated call for the federal government to slash the wording from the report. Also present at the town hall meeting were Brampton North MP Ruby Sahota (Lib.) and independent Brampton East MP Raj Grewal, as well as Alberta MP Garnett Genuis. Sahota, who took the brunt of the community’s frustration, attempted to explain that the report included that section because real threats still exist, but was unable to provide specifics. That’s the tack the Liberals have taken since the report was released, and Sandhu says it is only adding to the frustration. The report notes that two organizations in Canada, Babbar Khalsa International and the International Sikh Youth Federation, remain listed as terrorist entities under the Criminal Code. But critics said the language and suggested association with Sikh extremism more generally, created a false impression. Public Safety Minister Ralph Goodale seemed to agree, two days after the report was released — amid an outcry from the Sikh community in particular — that the language needed tweaking. He said he would ask officials to review the use of the broad adjectives such as Sikh, Sunni and Shia to denote violent activities carried out by a tiny minority within a much larger community. Other vague and unclear language is also potentially harmful, critics have pointed out. Stating that, “support for the extreme ideologies of such groups remains,” which was included in the public report, offers little context about a complex situation that also involves decades of effort by many Sikhs around the world who have peacefully highlighted atrocities carried out against the community under the Indian government’s watch. Many Sikh leaders have for more than four decades condemned “extremist” actions by certain groups, while also recognizing that the end goal of some of them, to get an independent homeland, is shared by many peaceful Sikhs. Some of them have pointed to the way the minority community has been treated by the Indian government. India’s own Nanavati Commission found that thousands of Sikhs were massacred in a 1984 pogrom that was “organized” by members of the ruling Congress party at the time. The U.S. State Department reported in 1994 that the Indian government paid out over 41,000 cash bounties to police officers for killing Sikhs in Punjab. Amid this complex history of extra-judicial violence carried out by both sides of the conflict, Canada has been caught up from time-to-time in an issue it doesn’t always seem to understand. Last year, when Prime Minister Justin Trudeau travelled to India on his infamous trip to the sub-continent, Indian politicians, mostly with the country’s right-wing nationalist ruling BJP party, openly stated their frustration with Canada’s supposed sympathy for Sikh extremism here. Unfortunately, after Indian media picked up on the story, some media outlets in Canada repeated the unverified claims that Sikh extremism is a problem here. Meanwhile, many Sikhs in Canada have been asking for clear and transparent intelligence analysis to either prove there’s a problem, or verify the longstanding position of intelligence agencies around the world that Sikh extremism and the threat of terrorism has been on the decline since the ‘90s and has more recently been removed as a threat by countries around the world. Despite the Canadian government’s assertion in its analysis that BKI has members in “North America”, the U.S. State Department does not include it or any other Sikh group on its list of “Foreign Terrorist Organizations”. It’s possible that foreign intelligence officials have different evaluations of the domestic risk posed by a group. It’s unclear why different groups on the same U.K. terrorist list, have markedly different descriptions of the actions that led to their inclusion on the list, based on its stated threat criteria. On Monday, Sahota was back in Ottawa discussing a motion before Parliament’s Standing Community on Public Safety and National Security (SECU), that sought to have Goodale address the committee with regard to the December report. An initial motion from NDP MP Matthew Dubé asked to have the minister come before the committee before the end of June; Sahota amended the request to have Goodale appear as soon as possible. “I do think there is some urgency to the matter, because there are a lot of people that feel uncomfortable with the way the report was put out initially,” Sahota said in committee. Sahota did not respond to a request for an interview ahead of publication. The day of the town hall, Goodale released a statement explaining that an addendum to be attached to the report would explain that it was “based on careful review of intelligence and information from the Canadian security and intelligence committee.” He also acknowledged that inappropriate language was used. Further, Goodale said in the statement, there have also been complaints that the report unfairly characterizes the Muslim community, and a review of the language used is underway. “As this review continues, it is apparent that in outlining a threat, it must be clearly linked to an ideology rather than a community. The Government should always carefully select terminology that focuses on the intent or ideology,” Goodale states. That may not be enough to satisfy those who attended Sunday’s town hall, who fear the government’s mishandling of the report could result in long-term negative repercussions for a visible minority group, including many who are easily identifiable by their appearance, that has a half a million members in Canada. Sandhu said 60 other MPs in total were invited to speak at the town hall. 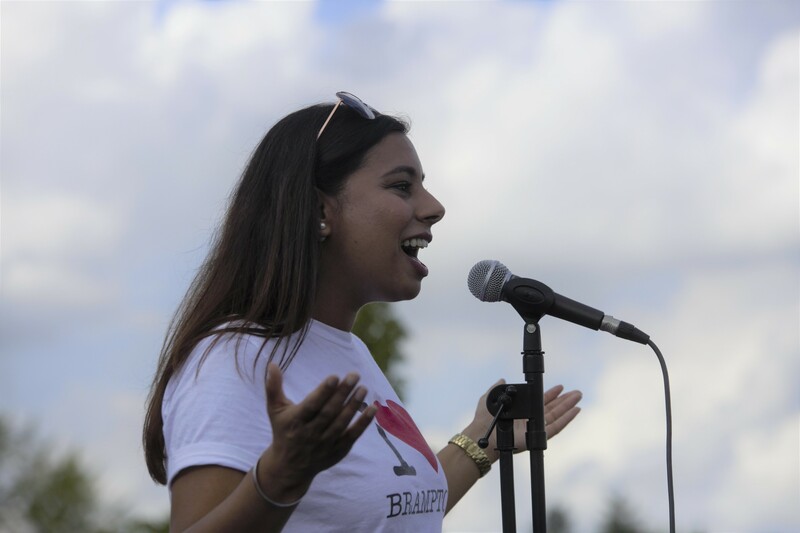 Brampton’s other federal representatives, Brampton Centre MP Ramesh Sangha, Brampton West MP Kamal Khera, and Brampton South MP Sonia Sidhu, all Liberals, were all no-shows at the event. With an October election looming, Sandhu has no doubt that if steps aren’t taken to rectify this mistake for the Sikh community, it could become an election issue. “You don’t bring 400 people into a room if it’s not a big issue,” he says, adding that these concerns compound the letdown many have felt since the 2015 election, which filled them with hope for the future when many Sikhs and other visible minorities took seats at Parliament Hill. Currently, there are 17 Sikh MPs in the House of Commons, 14 of them with the governing Liberals.